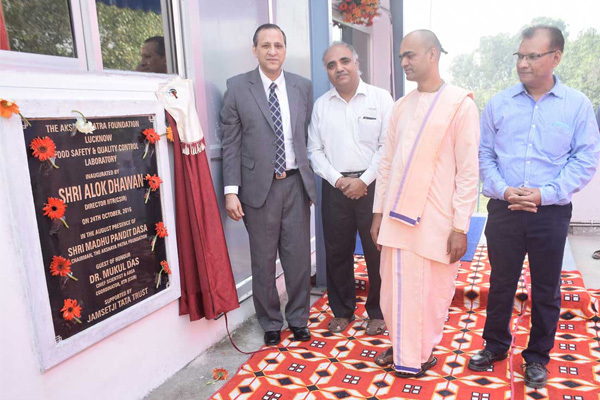 On October 24, 2016, Akshaya Patra inaugurated its second Food Safety and Quality Control Laboratory (FSQC Lab) in Amausi Industrial Area, Lucknow; the first lab was set up in Ahmedabad in 2015. 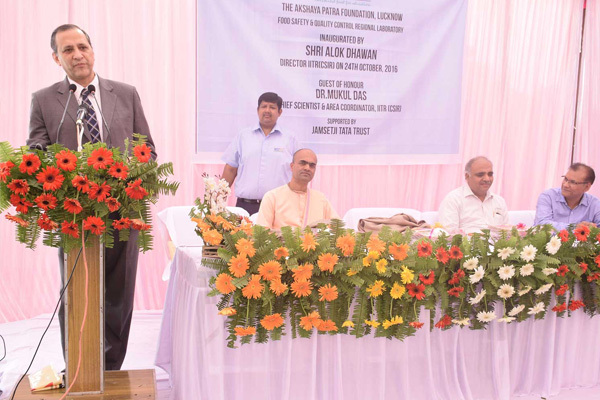 The new lab was inaugurated in the presence of Mr Alok Dhawan, Director and Dr Mukul Das, Chief Scientist and Area Co-ordinator of CSIR – Indian Institute of Toxicology Research. The state-of-the-art mini lab is equipped with advanced technology and high-precision testing instruments which will be used for evaluating food from farm to the plate. The highly specialised lab will cover 20 kitchens pan India and conduct more than 50 analyses per day. This will help the organisation in minimizing potential hazards, protecting consumers’ health and maintaining nutritional levels as per mid-day meal guidelines. The food testing services will be able to examine and analyse the safety and quality of raw materials and finished products. From more than 60 parameters, some of the services covered are chemical, microbiological, physical and sensory examinations. The mini lab will also comply with the international regulations to govern issues such as chemical residues, pathogenic bacteria, allergens, and additives.